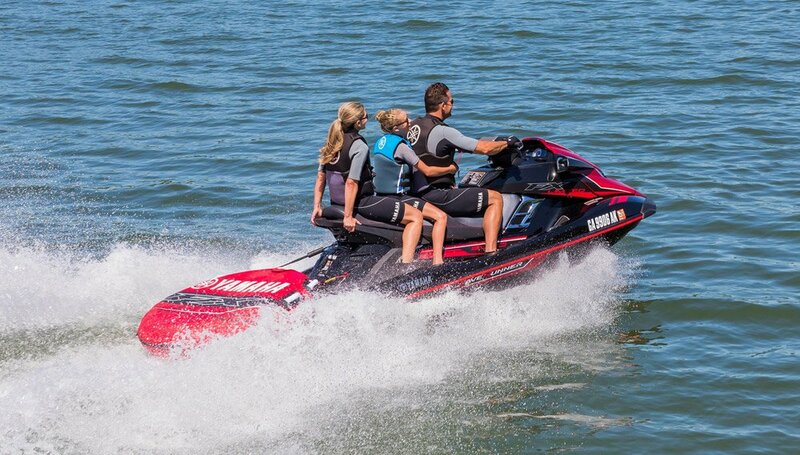 Loaded with Yamaha’s fastest engine and a limited package of extras, the 2018 Yamaha FX Limited SVHO has it all. 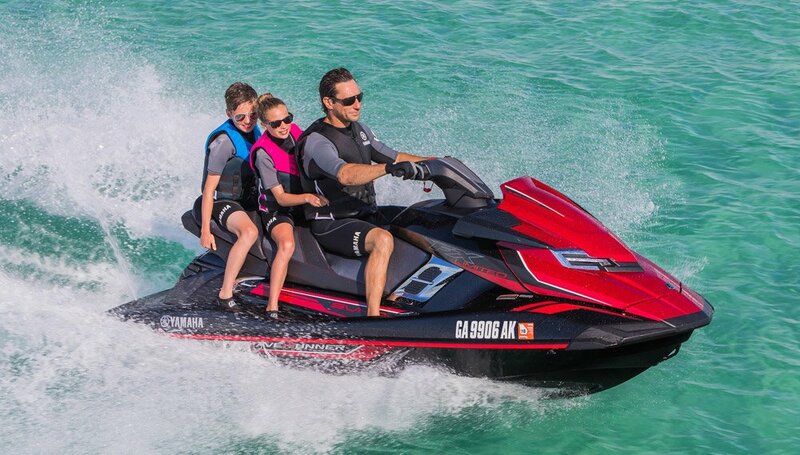 The 2018 Yamaha FX Limited SVHO is the ultimate WaveRunner offered by the brand, a craft that combines Yamaha’s fastest engine with its premier hull and deck, offers up all the best high-tech enhancements and then places a “limited” package of extras as the cherry on top. 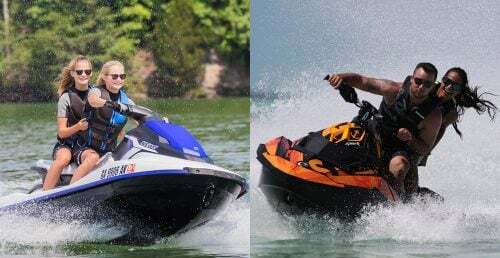 The latter, like other limited options from other brands, aims to give consumers the extras they’ll inevitably want without requiring them to hit up the marine supply stores after the sale. To be fair, it also probably aims to keep more of those accessory sales within the family. Any way you slice it, however, the end result is to offer the complete package. And by that rule of measure, the 2018 Yamaha FX Limited SVHO is right on target. 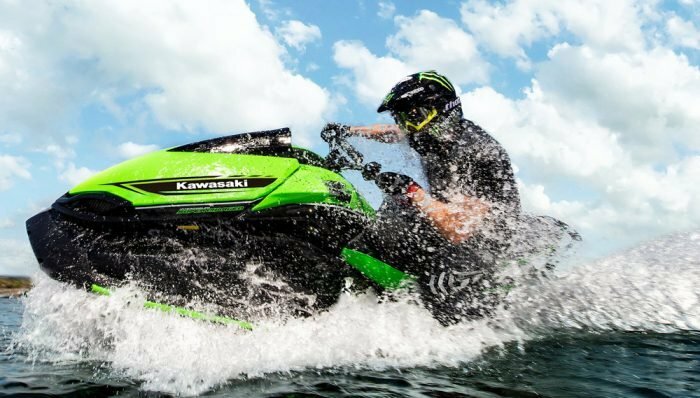 Yamaha’s “limited” extras are unique in that the brand chooses a theme – watersports. More specifically, pulling inflatables, something that the brand says a majority of its consumers participate in. 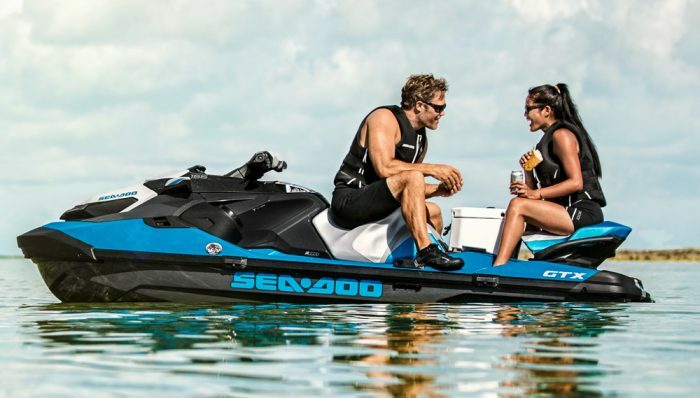 To that end, the first item on the shopping list is a single-passenger inflatable, branded with the Yamaha and FX logos and color-matched to the craft’s unique paint job. Along with that all-purpose “tube” comes a likewise color-matched towrope, 12-volt inflator, tube holder (essentially a strap that weaves through the tube’s grab handles and hooks to the bond rails and tow eye) to secure the inflatable to the watercraft’s aft platform, and a 12-volt outlet housed within the glovebox. Use it to power the inflator or keep your phone or other electronic device charged up while out on the water. Additional accessories that round out the Limited offerings aren’t watersports specific, but smart additions to any PWC owner’s arsenal. 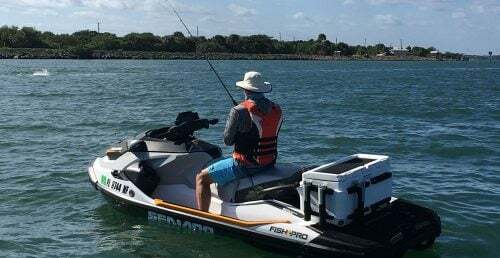 They include two dry bags (one for gear and one for a cell phone), two fenders to ward off dings at the dock, and four pull-up cleats to quickly and easily secure a dockline. The custom Limited SVHO color for 2018 is a metallic black and metallic crimson red that is sure not to be missed among lesser craft. 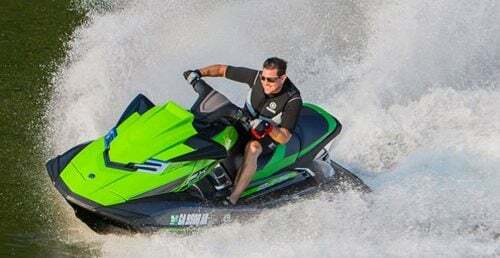 As the name makes obvious, those extras come on the 2018 Yamaha FX Limited SVHO, a craft that already resides at the top of the brand’s WaveRunner hierarchy. 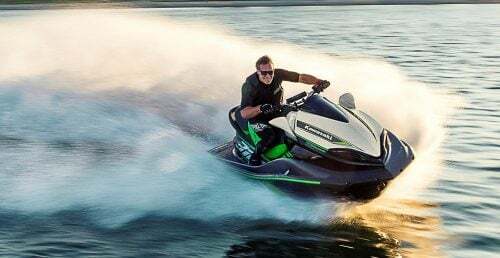 At 1,812cc, the craft’s Super Vortex High Output engine boasts the industry’s largest displacement, and a potent supercharger/intercooler combo to load it to max potential. 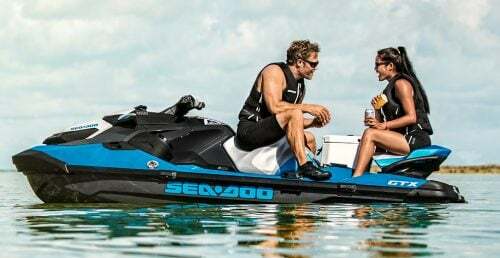 Yamaha pairs it with a 160mm pump, top-loader-style scoop grate and the second generation of the NanoXcel hull material to exploit every bit of horsepower-to-weight ratio and make sure that power gets transferred to the water with utmost efficiency. Top speed, like many flagship models, aims for the 67 mph mark and hits the target with ease. Acceleration from 0-to-30 mph can be as quick as 1.5 seconds in ideal conditions. En route, the FX hull handles any conditions you throw its way. 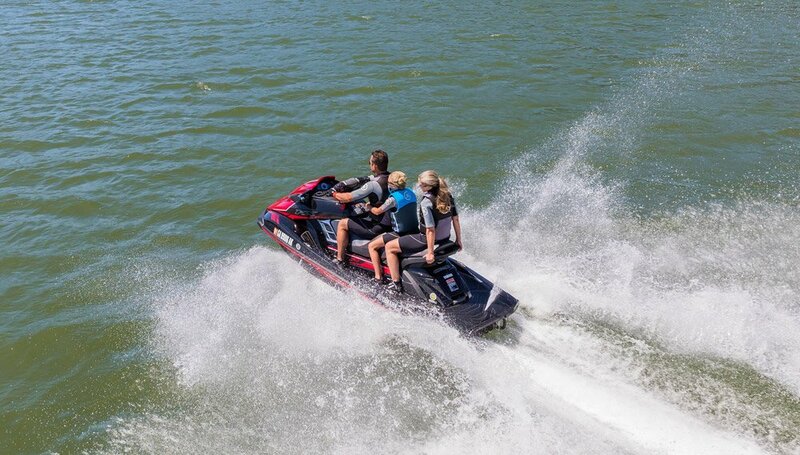 Like most all Yamahas, the FX hull excels in rough water, tracking precisely and delivering a firm, but comfortable ride. Lean intuitively into a corner in glassy water and the craft will carve the tightest of turns with no unpleasant wobble or buck. Do likewise in rough conditions and the effect is almost the same. Judicious use of the electric trim brings out the hull’s best characteristics. Drop the bow for best results in the corners, then raise it to reduce the wetted surface when blasting for the horizon. Features also reflect the craft’s flagship status, although to be honest most are found throughout the lineup. RiDE likely deserves the most attention. A system that links the reverse bucket to a left-side handlebar lever similar to the throttle, RiDE simplifies forward, neutral and reverse by allowing the throttle to handle forward motion, the RiDE lever reverse, and the release of both to put the craft into a neutral mode. 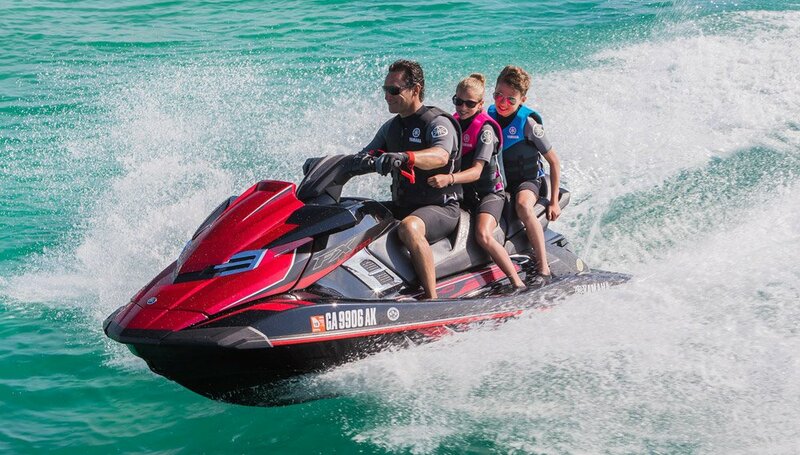 Pulling the RiDE lever at speed also provides rapid deceleration to slow the craft. 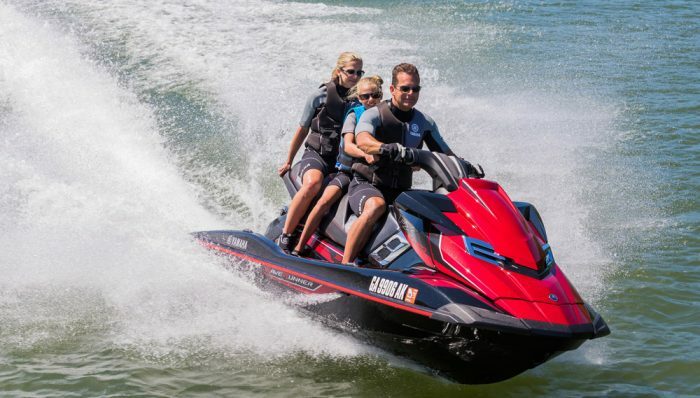 Other features include Cruise Assist (cruise control), a No-Wake Mode that allows you to release the throttle during those extended slow zones, and Yamaha’s keyfob-like anti-theft remote that can also activate a governed-speed mode when you want to restrict the craft’s power. In terms of comfort, the saddle is cruiser-style, meaning it’s plush, comfortable and divided into sections that are tiered to allow passengers a better forward view of the action. Tilt steering accommodates differing size captains as well as gives the craft a more aggressive, or alternatively more laid-back feel. Bow storage is complemented by a quick-access trunk compartment that’s a great place to stow wet items like a mask and snorkel or that watersports towrope. You can even leave the latter hooked to the tow eye when stowed thanks to a notch cut into the door. 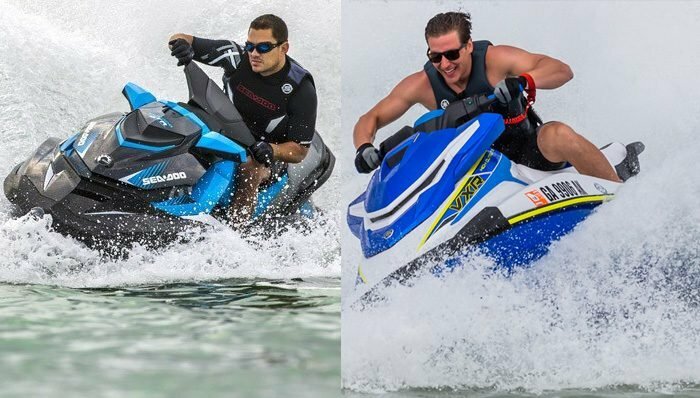 As to competitive models, the 2018 Yamaha FX Limited SVHO likely lines up best with Sea-Doo’s GTX Limited 300 (also $16,899). That craft also comes in an exclusive colorway, but its Limited extras veer more toward the practical, with high-performance variable trim, dry bag, safety kit, cover, and storage bin organizer rounding out the list. 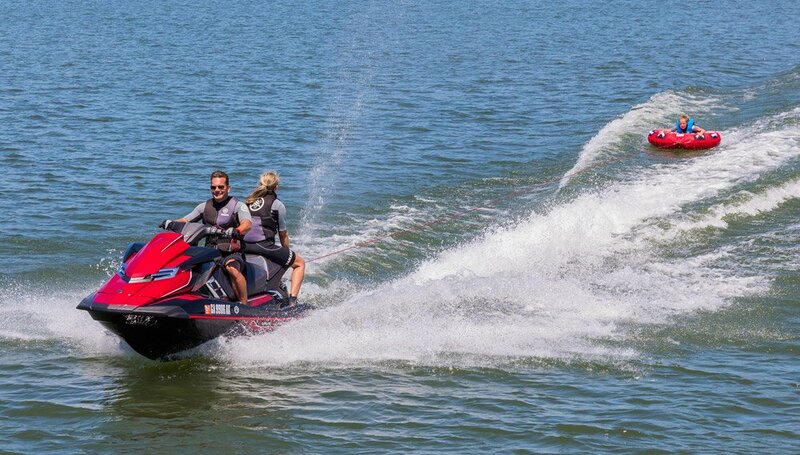 The GTX, however, boasts many changes for 2018, including a more stable hull design, aft platform accessory mounts, new easy-access storage, modular saddle, and waterproof, Bluetooth audio system.